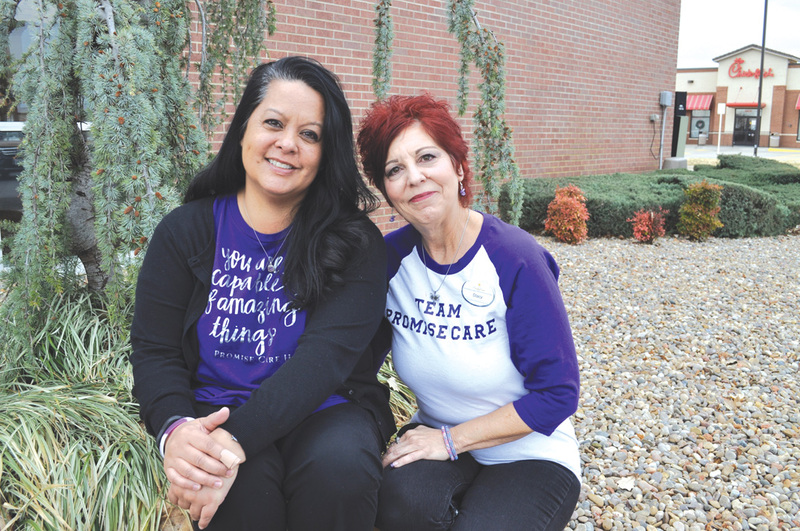 Missy Beckett and Stacy Wingfield make a difference in the lives of families through Promise Care Hospice. The joy of simply being present with loved ones and making their day a little brighter. The pride that comes with honoring a loved one who gave their life in the service of country. These simple things have always been foundational for Missy Beckett. As a registered nurse, Beckett has cared for people from all walks of life, all the while knowing that memories they create will last a lifetime. It’s this approach that Beckett promised to keep as the director for the aptly named Promise Care Hospice service. Promise Care is locally and privately owned and Beckett has worked with the owner more than a decade now. The focus has and always will be personal. Promise Care is comprised of an expert teams of caregivers consisting of registered nurses, physicians, home healthcare aides, social workers, chaplains, bereavement counselors and trained volunteers. The palliative care offered eases pain and discomfort for all who experience it. Social and spiritual support for both patients and their loved ones is bedrock. Volunteers are often the lifeblood of a quality hospice experience. That’s where Stacy Wingfield comes in. Promise Care’s volunteer coordinator hand picks those individuals with both the heart and compassion for the role. Wingfield knows no paycheck could ever be equal both the service volunteers provide and the what they receive in return. One of Wingfields volunteers is an author who comes in after book tours and takes her book into a home and reads while in costume. “The older you get the more life has thrown at you and the more you do understand where people are coming from,” Wingfield said. Beckett knew of a woman through healthcare that transportation circumstances had left her homebound. She decided to present her the opportunity to volunteer. From the outset, Beckett has brought her staff out into the community when they’re not in patients’ homes. Once a month you’ll find the Promise Care team working at a homeless shelter serving others. Every year you’ll find Beckett and staff handing out turkeys with a local law firm. “Our group is really unique. We like to get out and go do things probably a lot of other businesses don’t do together,” Beckett said. Remembering the holidays are always packed with events, Beckett was scolded by her staff this year when she suggested they take December off from the shelter serving line. Honoring loved ones is what Promise Care is all about. And Beckett admits she has a soft spot for veterans. It’s those little things along the way that most don’t realize that are actually the big things in life. And it’s those moments that Beckett promises to make count.